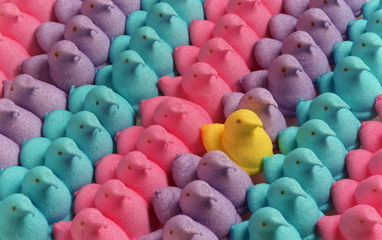 Indeed, Peeps introduced their classic yellow marshmallow chick in 1953. 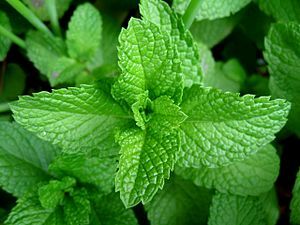 Biskin believes Moshe Feldenkrais was an early adopter and consumer of the sugary candy, and may have had friends smuggle them into Israel for him. The new, Peep-centric lessons have raised fundamental questions about the origin of Feldenkrais’s thinking around the issues of evolution, anxiety, and sexuality. Did Moshe Feldenkrais develop his work because of, or in spite of, repeated and long-term massive sugar jolts from Peeps? The 2010 Conference of the Feldenkrais Guild of North America this summer will feature a morning track of Peep ATM’s in their “premiere,” open to the public. Feldenkrais teachers are advised to acquire and stockpile Peeps during the after-Easter sales, to be able to adapt to the anticipated instructional trend. Reported by MaryBeth Smith for April Fool’s Day! Share and enjoy.